Multibeam technology has been around for a long time in the Commercial Survey and fishing sectors and is now starting to make big inroads into the recreational market. This product was partly developed here in New Zealand by the WASSP engineers working at ENL, and works really well for the type of inshore fishing which is common around the country. The 350M maximum range is very handy! Currently only available as a thru hull version, the transom mount version (which looks very much like a TM260) will be available shortly. Turn your NavNet TZtouch or TZtouch2 MFD into a multi-beam sonar that can see 120-degrees port to starboard, allowing you to see the depth and direction fish schools are moving, while displaying the seabed condition in real time. The new DFF3D gives you real-time 120 port-starboard view of the water column and seabed in over 650 feet. The DFF3D allows you to explore fishing spots and find fish in deep water far faster than conventional single beam sounders. The main beam penetrates right under the boat at a depth of over 1,000 feet, depending on water conditions. 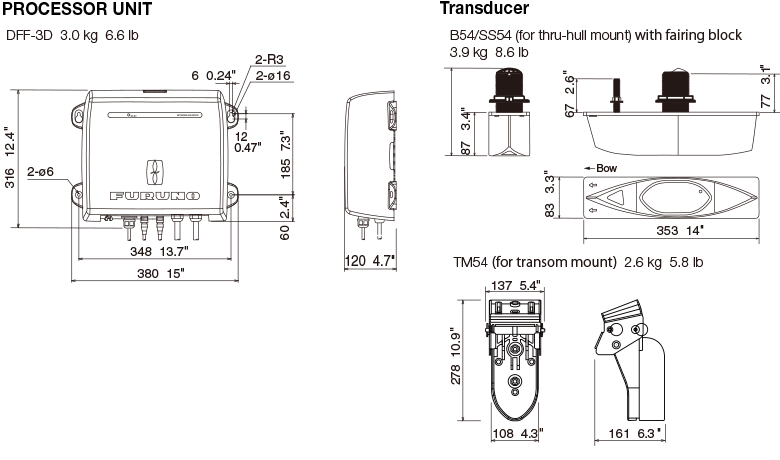 Installation is made easy thanks to a compact transducer design. The built-in motion sensor in the transducer stabilizes the display to give clear and stable images, even under rough sea conditions. 300 m* (Main Beam Directly Under Boat) *Depending on bottom, water and installation.